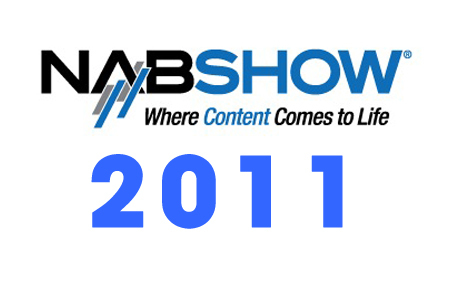 ATTEND NAB 2011 ON US! NAB 2011 is right around the corner : April 9 -14th to be exact, in beautiful Lost Wages Nevada. This year’s show is setting up to be a pretty interesting one indeed, with new cameras from the likes of SONY, Panasonic and JVC, and a new line-up of DSLRS from Canon and Nikon, new 2D and 3D displays, as well as the usual array of camera support, monitoring and lighting. Can’t wait! Our crew will be out in full force this year bringing you up to the minute video interviews of the hottest stuff at the show. So don’t forget to check our VIDEOS section! Since we didn’t want to be the only ones having all the fun this year, we decided to invite all our listeners/readers who will be in the Las Vegas area to come and check out all the amazing gear the show has to offer. To get access to the exhibit floor, the Opening Keynote, State of the Industry Address, Info Sessions, Content Theater, Exhibits and PITS for ABSOLUTELY FREE (a $150 value) simply click on this link to register.